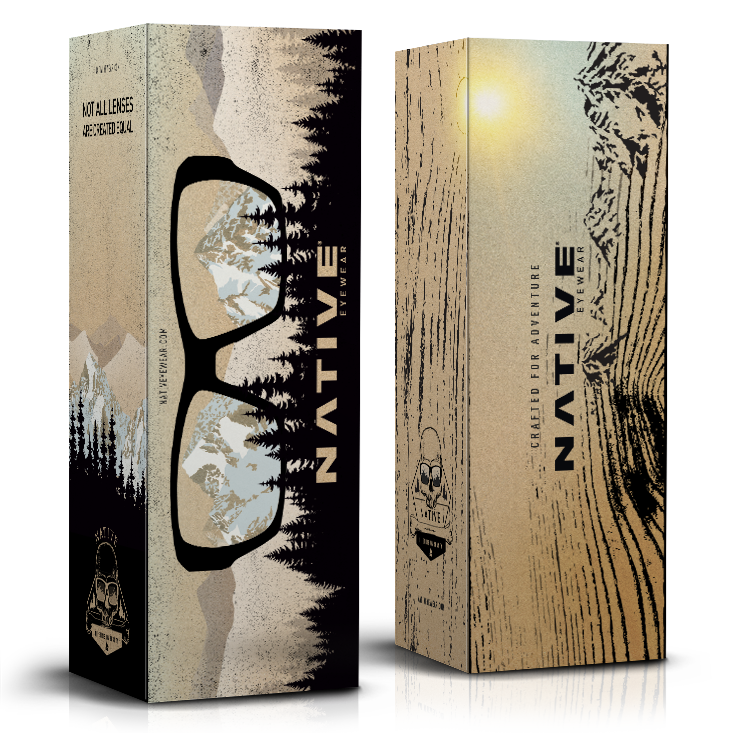 Native Eyewear wanted to update their packaging to match their outdoor, active style. Our only guidance was to let the rough, natural cardboard show through our ideas. 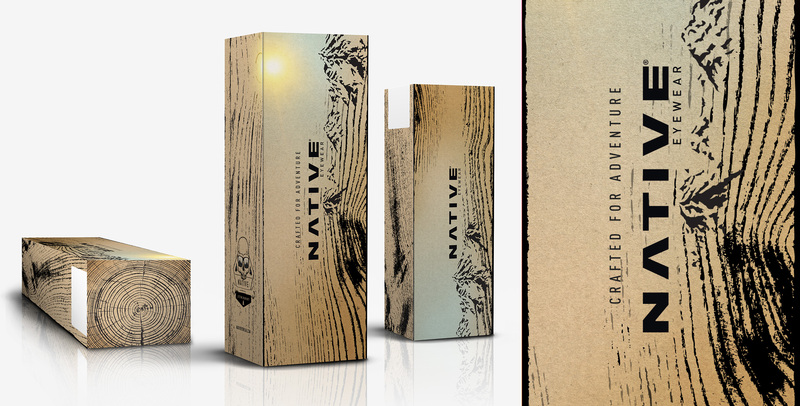 My initial thought was to play around with wood grain as a textural device to make the entire package feel as though it was carved out of wood. The grain paired perfectly with the cardboard. Of course I wanted to bring a little more of adventure attitude of the brand through - so I wove some mountains into the grain as well, bringing an outdoor scene to life in the midst. One of my favorite details of this concept was the end or top of the package. Featuring the rings of a tree truly captured the block of wood effect. 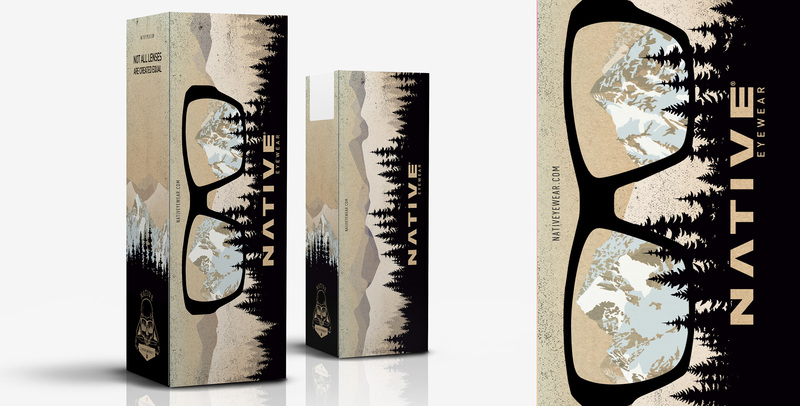 Since these sunglasses are known for their adventurous demeanor, I wanted to approach a concept more focused on landscape. Having some idea of seeing through the glasses felt interesting, so with a nice textural illustration style, I created this concept, which had a nice dramatic contrast to it. 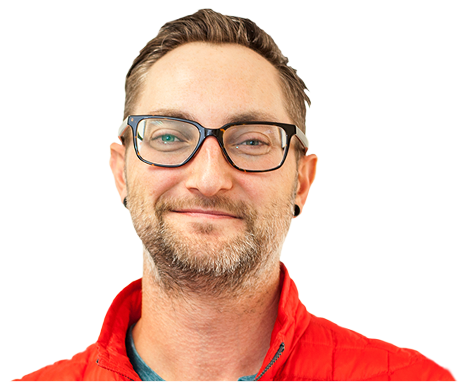 The trees in silhouette give the logo a clever place to standout, while the glasses offer a bit more detail of the mountains in the distance.